Homepage / News / Nokia 8 Finally Officially Released! Nokia 8 Finally Officially Released! The long wait waiting for the king of Android from Nokia finally finished already. 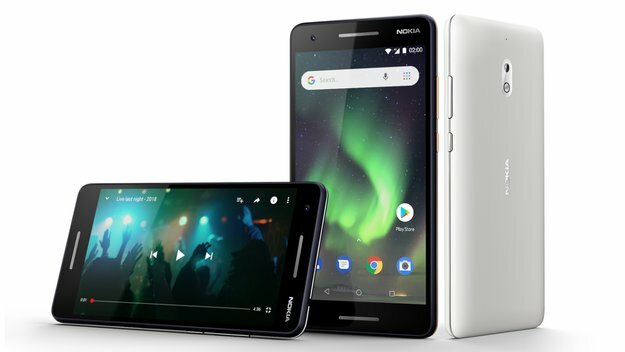 Nokia 8 has been officially introduced by HMD Global in London, providing a complement to other Nokia Android that had already been released, the Nokia 3, 5, and 6. As a flagship smartphone, the Nokia 8 blended with 6000 aluminum material that is not only elegant, but also sturdy. This smartphone brings the screen size of 5.3-inch Quad HD plated brain Gorilla Glass 5 with Snapdragon 835, 4 GB RAM, and 64 GB of storage. Unfortunately, Nokia 8 yet holds a waterproof smartphone because it has IP54 certificate only. This means that Nokia 8 only splash resistant and can not be brought to dive into the water. It seems that Nokia did not consider waterproof features as being important. Nokia 8 itself has a major advantage on the side of the camera. In total there are three resolution 13MP camera module. Two in the back, one in front. Dual-camera configuration on the back consists of a sensor RGB (f / 2.0) and monochrome with Carl Zeiss certification. While 13 MP front camera, but can take pictures selfie, also can record video up to 4K resolution at 30 fps. Interestingly, Nokia 8 Bothie equipped with features that serve to record video simultaneously using front and rear cameras simultaneously. During the process, the display will be divided into two. Nokia created Bothie features to accommodate the needs of users who want to exist in social media. When doing live vlogging, they can “show off” the catch of the front and rear cameras simultaneously. Nokia 8 will carry the Android OS 7.1.1 and is available in four colors: Polished Copper, Polished Blue Tempered Blue and Steel. Inaugural sale will be conducted in Europe, and later in Latin America and India. The set price is 599 Euro (7.8 million).